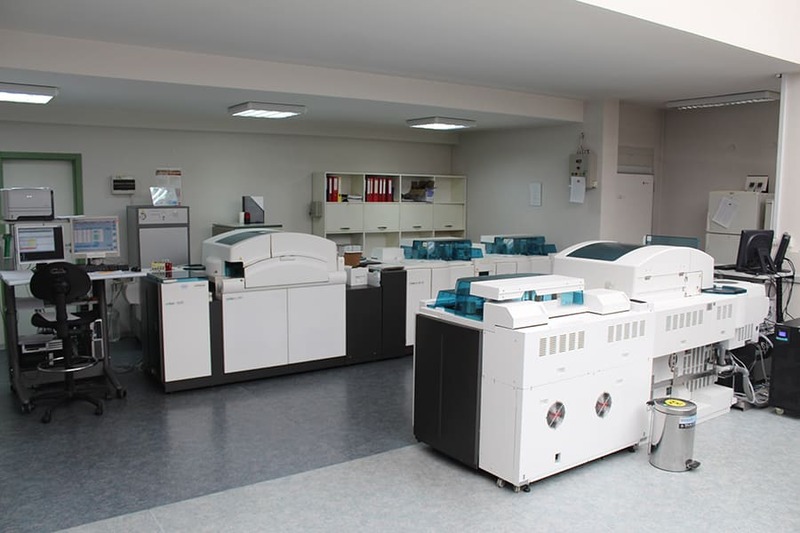 Bodimed Laboratory was established by Prof. Dr. Bushka Zaharieva. Becoming the first private laboratory in Bulgaria, being specialized in hormonal research. Later on the activity expanded with the opening of the biochemical and microbiological sector. Starts conducting clinical trials for Pharmaceuticals Institutions known in Germany, Switzerland, Austria , France, USA , Holland, Bulgaria and others. Beginning of a collaboration with Labor Limbach – Germany. Offering the Bulgarian market a widest range of analysis that are not conducted in the country. Bodimed contracts with NHIF and simultaneously with many private health insurance funds. Bodimed conducts external quality control in NSVOK and foreign institutions (INSTAND) for the full range of accredited research. Bodimed is the first private laboratory accredited by the Ministry of Health. Bodimed opened a branch in Plovdiv. Becomes certified by ISO 9001:2000. Bodimed became part of one of the largest laboratory chains in Europe, Labor Limbach – Germany. Starts a Partnership with the Laboratory SеаLab Varna. Opening of a Laboratory in Sandanski. Bodimed is accredited by the German Accreditation Service DakkS, the highest international standard for laboratory quality ISO 15189:2007. Opening of a laboratory in Stara Zagora. Opening of a laboratory in Burgas. Opening of a laboratory in Pernik. The laboratory is equipped with multiple stations in Sofia and through out Bulgaria. Our team, of nearly 90 employees, is fully dedicated to serve the need of the patients and in achieving the highest quality standards, so that “When you need to be sure” you are. We are recognized throughout the country and our results are also valid abroad. Saturday: 08:00 – 12:00 – at N.º 29 Buzludzha St.